This summer, TMT News held its annual Telecoms Awards, which recognizes and celebrates innovation and technical excellence in telecommunications. ZenFi, New York’s carrier-neutral fronthaul fiber provider, was named the Best Dark Fibre Infrastructure Provider – New York. ZenFi was awarded this accolade for its most innovative telecom offerings in the last year. The honor recognized the ZenFi Access Network, a purpose-built network designed to enable massive Fiber-to-the-Antennae (FTTA) deployment. The ZenFi Access Network supports widely distributed wireless colocation and equipment interconnection. It’s comprised of a series of smaller, neighborhood networks that are colocated at ZenFi points of presence (PoPs) and interconnected to a core backhaul fiber network. This network helps create faster and more efficient fiber paths. Additionally, the ZenFi Neighborhood Network Strategy factored into the award win. This brings end-users closer to small cells, in-building and outdoor Distributed Antennae System (DAS) remotes, macro sites, Remote Radio Heads (RRHs) and Wi-Fi access points. This strategic approach enables high-bandwidth connectivity to mobile communication antennas, as well as a greater number of on and off ramps to key customer locations. When used in conjunction with ZenFi’s Express Network, which links New York’s largest enterprise locations, carrier hotels and neutral data centers, the strategy is capable of delivering the necessary bandwidth to support IoT enablement. This year, ZenFi competed against 14 other global nominees in the “Best Dark Fibre Infrastructure Provider” category. Entries were evaluated by TMT’s editorial staff and all nominees were placed within specific categories along with other shortlisted parties. Winners were chosen using a number of factors such as previous accolades, customer / client reviews, and products and services offered. 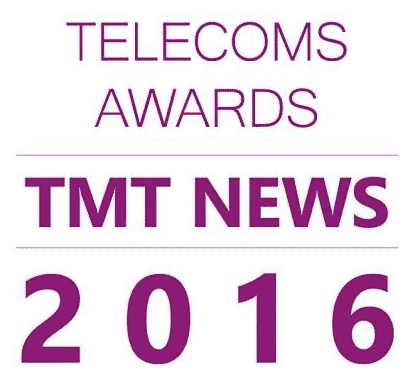 For a complete list of the 2016 Telecoms Awards winners, click here.